Crown Oil is a fuels and lubricants supplier with an oil centre and head office in Bury, Manchester. As experienced red diesel suppliers to the North, we also offer nationwide red diesel deliveries to any required location; with over 90% of our deliveries being completed within 24 hours. In case of a fuel emergency, we can deliver gas oil within just a few hours. If you need technical support, we can give you advice for free. 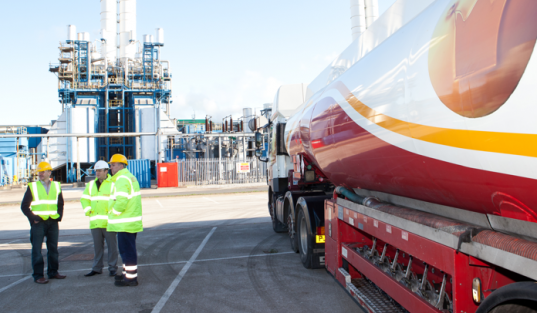 Our fuel services include a free fuel management and national supply agreements for all of our red diesel customers. If you live in the North East or North West of England, call our friendly team on 0845 313 0845 to order your red diesel, fuels and lubricants. Winters in the North of England can be damp and cold, and our diesel fuel heats many public buildings and private residences. Now, the entire country works hard to offer a sustainable ecosystem to its suburban, industrial, and urban areas. In homes and businesses all over England, red diesel fuel is used for heating, for running generators, fuelling off-road vehicles, and running heavy equipment. Red diesel, while its chemical ingredients are almost identical to the diesel sold for automobiles, costs much less and does not carry an imposed fuel tax. The red diesel sold in England is a standard grade product with an added marker dye of a reddish colour. This red dye gives it a distinctive appearance that is easily recognisable. Then, there is no confusion between this fuel and the fuel purchased with the fuel tax applied. Law enforcement has a fool-proof method for detecting illegal red diesel usage. They can conduct this test on any automobile out on the road if they decide a check is necessary. If they find red diesel in the fuel tank of an automobile, they can prosecute the vehicle’s owner. Currently, red diesel suppliers fill tanks on location at businesses and residences all over the UK. Likewise, there are regional red diesel North East England and red diesel North West suppliers. Owners can choose the right service plan, delivery times, and more. One thing that people should note when contacting their gas oil supplier is that the fuel goes by different names such as, generator fuel, cherry diesel, tractor diesel and heating oil. Certainly, this practical fuel is useful for many purposes and used widely all over the UK.